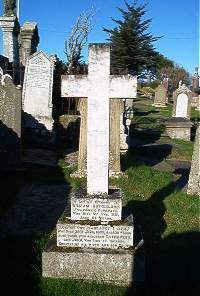 William Sutherland, fisherman of Dunbeath, died 5th June 1920 aged 51. 1st wife Margaret Keith died 20th June 1903 died 35. Children Catherine Sutherland and John Sutherland died in infancy. Erected by his widow and son George Sutherland. 2nd wife Georgina Sinclair died 13th July 1924 aged 43.